The best way to explore a new city is to walk it. You wander around with just a general idea of where things are. If that's how you roll, Walter is the travel app for you! 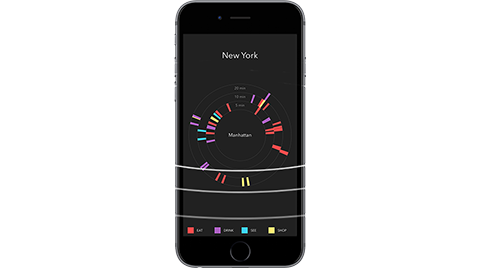 Walter is your smart travel compass. Instead of pointing you north, south, east or west, Walter points you towards sights, shops, restaurants and bars. Simply hold your phone in the direction you want to go and Walter will show you the hotspots nearby. With Walter you'll always know where things are. Walter points you in the right direction for sightseeing, shopping, eating and going out. No signup, no settings, just launch and go!